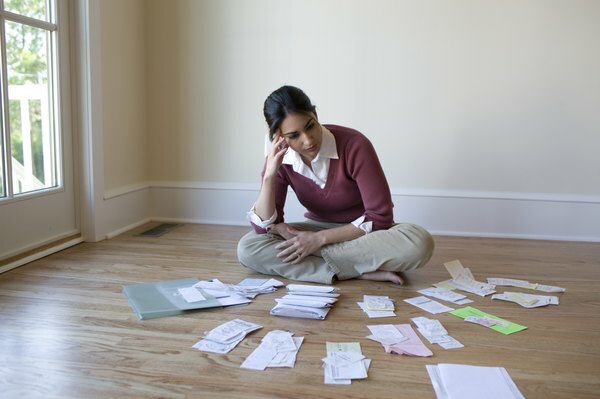 Organizing your receipts can reduce headaches at tax time. 3. Must I Have a Receipt for All Deductions? Claiming deductions for things like charitable donations, business expenses, childcare or tuition payments can lower your tax bill and potentially result in a larger refund. If you plan to claim these or other deductions, you'll need to be able to verify your expenses if the Internal Revenue Service selects you for an audit. The IRS has specific requirements regarding the types of evidence you'll need to keep in order to prove your deductions are valid. The IRS requires you to keep documentary evidence for any expenses you plan to use for a tax credit or deduction. Documentary evidence includes things like receipts, canceled checks, copies of bills or bank statements. The IRS considers documentary evidence adequate if it includes the following information: the amount, date, place and nature of the expense. For example, a hotel bill would need to have the name and location of the hotel, the dates of your stay and a complete listing of the charges. You can also use a canceled check to document an expense but you must have supporting evidence, such as a copy of a bill, to show that it was a business expense. The IRS does allow some exceptions to the documentary evidence rule. Generally, you don't need a receipt if you have an expense that was less than $75 unless it was for lodging. An exception to the receipt rule also applies if you have a transportation expense, such as a toll or cab fare, for which a receipt was not readily available. Finally, if you incur expenses for meals or travel that you report to your employer, and you use a per diem allowance method, no additional documentation is necessary. The IRS has allowed taxpayers to use electronic receipts as documentary evidence since 1997. Scanned receipts are acceptable as long as they meet the same requirements for paper receipts. Keep in mind that if you're planning to scan your receipts or other documentary evidence, it should be clear and legible. You should also have it saved in a format that allows you to print your receipts in case the IRS asks for a hard copy. If you're planning to save your scanned receipts to your computer, it may be a good idea to back up your files online or using an external hard drive. The length of time you'll need to hang on to your receipts and other documentary evidence depends on your individual situation. Generally, the IRS has up to three years after you file to audit your tax return. This means that you should hang on to your receipts and other documentary evidence for at least this long. If it's suspected that you grossly underreported your income, the time frame increases to six years. If you filed a fraudulent return or didn't file at all, then there's no limit on how long the IRS has to complete an audit. Intuit Turbotax: Which Receipts Should I Keep for Taxes?